Car service Centre "BUKSIR" - the car will tell you "THANK YOU!" 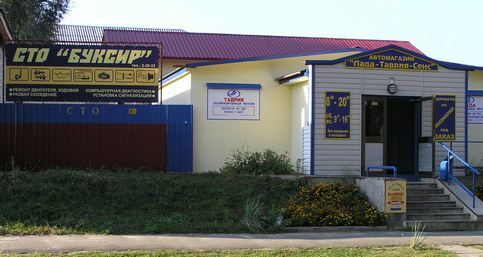 - Professional car repair: quickly, efficiently and reliably. 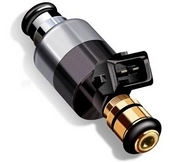 - Spare parts for European, America and Asia cars can be ordered with delivery between 4-24 hours. 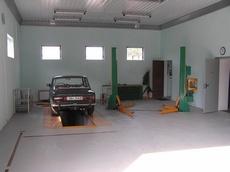 Auto service - our work. "BUKSIR" provides a service for all car repairs. We will help you solve almost any problem associated with the repair of your car - engine, chassis, electrical equipment, it's our business to help you to keep motoring. We have been in this business of repairing cars for more than five years, we have accumulated a wealth of experience, so trust your car with us. You can be sure that the repairs will be carried out efficiently and to your satisfaction. In addition, the "BUKSIR" is equipped with modern equipment, allowing us to diagnose and repair complex faults with your car. The qualification of our employees is a cause for envy of our competitors. We provide the service and repair of domestic, European, American and Asian cars. ADDITIONALLY! You can leave your car with us for repair in the evening and we will securly store your car within out garage or with our secure yard of our Car service Centre. The cost of parking is FREE! Our service center is located adjacent to the clothing market, in front of the Yerevan district. 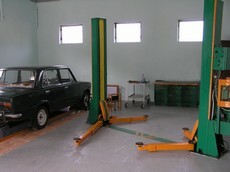 Landmark - the spare parts shop ""LADA-ZAZ-DAEWOO" check-in from the left side of the store. We are always happy to repair and service of any motor vehicle, offer low prices and high quality auto repair. Check out our price list for auto repair, vote quality auto repair. Please contact us on (04579) 2-39-33. +38 04579 2-39-33 telephone service center. +38 050 780-81-64 telephone service center. What kind of light during the day include? When placing our materials on the Internet, the direct hyperlink on www.buksir.in.ua necessarily.